Because it makes cocktail hour just a little more fun! And when either of them aren't being used, they look great as decoration on a table or bookshelf. 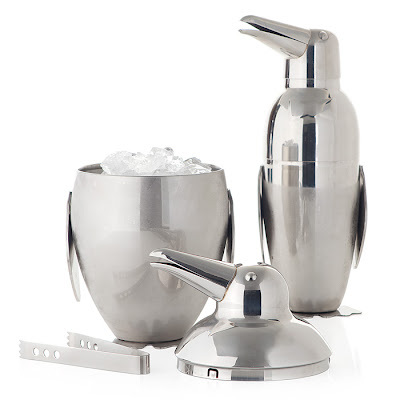 Each one is $24.95, so if you friend or family member isn't a big drinker, think about the ice bucket since it would be useful for water and soda as well. But if they're an amateur bartender, go for the shaker and see what kind of fun they can mix up! Click here to find a location near you.